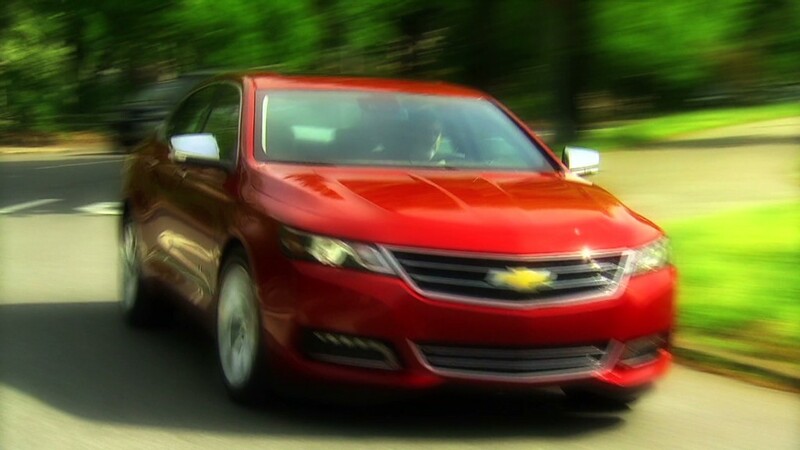 Consumer Reports is giving high praise to the new Chevrolet Impala, calling it the best new sedan the magazine has tested. It's the first time an American sedan has held that standing in at least 20 years. The newly redesigned Impala, which only recently entered dealerships, replaces a previous generation that scored at the bottom of its class in Consumer Reports' tests. "It has been transformed from a woefully uncompetitive and outdated model that was to be avoided even as a free upgrade at the rental-car counter into a thoroughly modern and remarkably enjoyable vehicle," the magazine says in its review of the Impala. General Motors (GM)' Impala earned the highest score among all sedans, a ranking that, for at least two decades, seemed reserved for European and Japanese cars. Only two cars now score better than the Impala: the electrically powered Tesla Model S, which is classified as a hatchback by Consumer Reports, and the BMW 135i coupe. The magazine started using a numerical scoring system in 1992. Consumer Reports had recently called the Model S the all-out best car it ever tested. The Model S earned a score of 99 out of a possible 100 compared to the Impala's 95. With a score of 95 out of a possible 100 points, the Impala outscores cars costing as much as $20,000 more, the magazine said. "The Impala's performance is one more indicator of an emerging domestic renaissance," said Jake Fisher, director of Consumer Reports automotive testing in the statement. A number of other models from U.S.-based automakers have also stood out recently, Fisher said. The Ford (F) Escape and Fusion as well as the Chrysler 300 and Jeep Grand Cherokee have done well, he said. The magazine lauded the Impala's refined and agile ride and handling qualities while the interior design and quality "sets a new standard for Chevrolet." The magazine called the Impala's fuel economy competitive, but not the best in its market segment. Despite its high test score, Consumer Reports still can't recommend the Impala until it has received sufficient data about its dependability from actual owners. Consumer Reports is considered to be the single most influential publication among car shoppers. Unlike other auto review outlets, Consumer Reports does not accept any advertising and it buys all the cars it tests, rather than relying on cars provided by manufacturers. Still, even a rave review from Consumer Reports may not be enough to ensure the Impala's success, said Jeremy Acevedo, an industry analyst from the automotive Web site Edmunds.com. "Consumer Report scores don't generally dictate the sales success of models," he said. "Indeed some models that score the highest sell modestly due to having a limited audience, and others that score poorly still remain popular with car buyers."